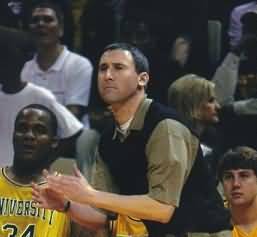 When I coached collegiately at LSU; we had tryouts for walk-on's. Usually we wanted one player for the team. Mostly we focused on athleticism combined with skill as primary factors for selection. That was my only experience with tryouts. On the high school level we were a small school competing with our soccer program (who had a similar playing season) for players. Once or twice I allowed an important player to participate in both because they were integral for team success and as long as they missed no practice. I excused those players for soccer games and their coach was quite accommodating. Competing with soccer lowered the overall number basketball players. Therefore I rarely had tryouts as we found a spot on JV, varsity or both for every player. Now I coach at a middle school that utilizes tryouts; and devised a simple system for team selection. I look for three determining factors for who makes the team. First, I seek players that want to play defense; not who feel they have to play defense. Of course if a skilled player doesn't defend or only defends part of the time; he will be selected with the idea he can be taught. While my general coaching philosophy is: the team that takes the most good shots usually wins (a 'good' shot varies from coach to coach); we attempt to play at an 'uncomfortable' pace for our opponents usually meaning we speed up the game and defend with as much pressure as possible. Secondly, I want kids that value the basketball. I am obsessed about turnovers because we get fewer shots at the goal. Finally, I watch general demeanor and attitude. I do not want a kid who feels required to show up at practices and games. I study body language; reaction to a bad play, interaction with teammates, and how hard they play. Anyone borderline of making the team must demonstrate a 'team attitude' to be selected. I select 10 or 11 kids so if someone is ill or goes on vacation (which happens at schools where parents pay tuition; especially among middle school kids) enough players will be left to play 5 on 5 or at worst 4 on 4. Since we play an unusually fast pace for middle school; I need bodies to consistently substitute fresh players in an effort to wear down our opponent. I have been conducting tryouts for three seasons and it is an inexact science; my standards for selection are constantly evolving trying to create the fairest system while also selecting the best players for my style of play. Whatever you do; make sure you are consistent from season to season and communicate with parents about what you seek during the tryout so they understand the entire procedure.